Disagreement emerged early during the latest round of international climate change talks in Bonn, with the European Union (EU) and developing countries clashing over the future of the Kyoto protocol. Under the terms of last year’s Durban Platform, the EU had agreed to sign an extension of the Kyoto protocol before it lapses at the end of this year in return for an agreement from all nations that a new binding treaty will be completed by 2015 and enacted by 2020. Climate negotiators want to build on the progress achieved in Durban last year, like the agreement on a second commitment period for the Kyoto Protocol, a treaty which limits the emissions of most developed countries but which expires at the end of this year. The length of the second commitment period is one of the issues under discussion in Bonn. Unfortunately, Kyoto plays an progressively more marginal role in the climate-change issue because it doesn’t include the biggest emitters of carbon dioxide and other gases that contribute to global warming. The United States exited Kyoto, claiming it was unfair because it didn’t impose any emissions reductions on fast-growing developing nations such as China and India. Canada also said it would withdraw from the treaty last year. Figueres cited new research that predicts that the Earth’s temperature could rise by as much as five degrees Celsius (41 degrees Fahrenheit) from pre-industrial levels on current pledges. “We still have a gap remaining between intent and effort,” Figueres said. Additional issues discussed in Bonn and at a larger climate change conference in Qatar later this year include implementing an extension to the Kyoto Protocol; how long that will last; how to raise ambition on emissions cut pledges, as well as raising long-term financing to help vulnerable countries adapt to the harmful effects of climate change. The treaty currently being negotiated would require all nations to curb warming. Identifying those requirements is the primary challenge, which is why negotiators are focusing on solving incremental, less contentious issues before moving on. “First and foremost we have to ensure that there is no backtracking on what was agreed in Durban,” said Christian Pilgaard Zinglersen, a Danish official representing the European Union. Climate activists warned that potentially disastrous consequences of global warming, including floods and droughts and rising sea levels, will be impossible to prevent unless the pace of negotiations accelerates. “If you look at the science, we’re spending time we don’t have,” said Tove Ryding, Greenpeace’s climate policy coordinator. Worldwide CO2, emissions have risen by nearly 50 percent in the past several decades, with 2010 now holding the record as the year with the most greenhouse gas emissions on record. Burning fossil fuels released more than 36 billion metric tons of CO2 in 2010, due primarily to growth in China, India, and the United States. Deforestation is another core cause. Going back half a century, nothing seems to have set back emissions for many years and that includes the Great Recession that started in late 2008, according to a new study published in the journal Nature Climate Change. Other studies indicate that mankind has burned approximately 50 percent of available fossil fuels if we don’t want the climate to warm by more than two degrees Celsius. More to the point, we’ll need zero or negative emissions and emissions to peak sometime this decade to avoid any further warming. Emissions rose approximately 510 million metric tons of carbon to reach 9.14 billion tons in 2010, the most in records dating to 1959, according to the Global Carbon Project. That represents a 5.9 percent increase, the largest since 2003, when they jumped six percent. 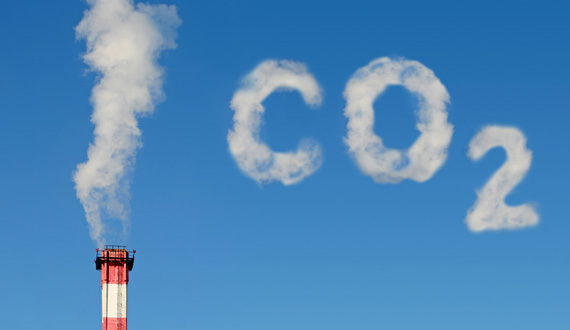 The 2010 global emissions were 33.5 billion tons when converted to carbon dioxide. “We’re going exactly in the wrong direction for limiting global warming,” said Corinne Le Quere, co-author of the Global Carbon Project’s report and a director of the Tyndall Centre for Climate Change Research at the University of East Anglia, England. “Governments need to develop ways to boost the economy using renewable energy,” she said. There’s growing evidence that 2011 will almost certainly be the 10th warmest on record, and the hottest featuring the La Nina phenomenon that brings cooler waters to the surface of the Pacific Ocean, the World Meteorological Organization (WMO). “There’s clearly a warming trend. That’s supported by other indicators such as disappearing Arctic sea ice, melting glaciers and rising sea levels,” Peter Stott, head of climate monitoring at the U.K. Met Office, whose own temperature estimates feed into the WMO data, said. “The global financial crisis was an opportunity to move the global economy away from a high-emissions trajectory. Our results provide no indication of this happening,” according to the study’s authors. The study was issued at a planet-warming gases panelat U.N. climate talks in Durban, South Africa. Writing on Times’ Ecocentric blog, Bryan Walsh notes that “The study underscores just how little we’ve done to slow the increase in carbon emissions. Since 1990 –the base year for the Kyoto Protocol –carbon emissions from fossil fuels have increased by 49 percent, making a mockery of that global treaty’s ambition to cut emissions by at least five percent. And it’s getting worse –on average, fossil fuel emissions have risen by 3.1 percent a year between 2000 and 2010, three times the rate of increase seen during the 1990s, even as global warming has become a global concern.